The headline of this story falsely reported that the Clubs and Events Board appointed a new director of finance. In fact, Kylie Marx was appointed director of activities. 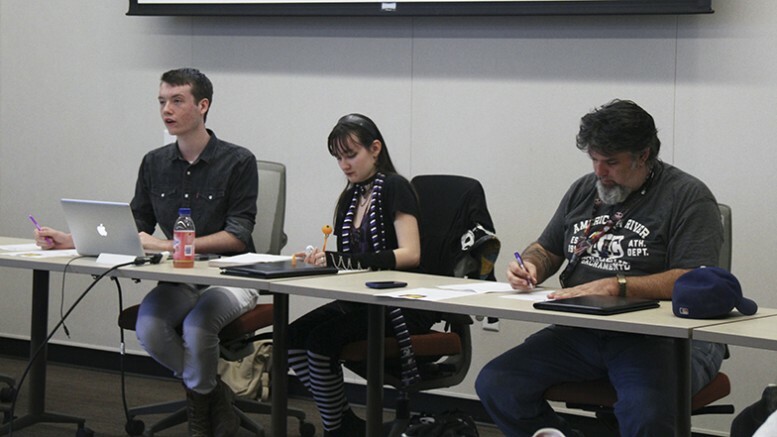 The Associated Student Body Clubs and Events Board began voting on plans for the Oct. 22 Club Day and appointed a director of activities to the board during its meeting Tuesday. The “haunted harvest” themed Club Day is set for Oct. 22 and will include a scavenger hunt styled maze full of information about the different clubs with a prize at the end. Other ideas thrown around include a pumpkin painting contest, a “fact-or-fiction” game on local urban legends and a costume contest for students. The contest for Club Day will be based on which club can create the best “curse.” The curses must be appropriate for each club, and the prize for the winning club will be $30. Kylie Marx, an ASB student senator and member of the Fierce Club, was appointed to CAEB as director of activities. Applications for the General Assembly for the Student Senate for California Community Colleges in Sacramento are available in the Center for Leadership and Development and are due by 9 a.m. on Monday. The board approved $150 for the Sociology Club to attend a local conference hosted by the California Sociology Association on Nov. 14 and 15. CAEB whip Laurie Jones updated the board on the Tobacco Free Task Force Committee. CAEB also opened discussion on the possibility of an ASB newsletter. The newsletter would include, among other things, news about CAEB and Student Senate, a section for students to voice the opinions and concerns and a list of upcoming events on campus. Be the first to comment on "CAEB appoints new director of activities"